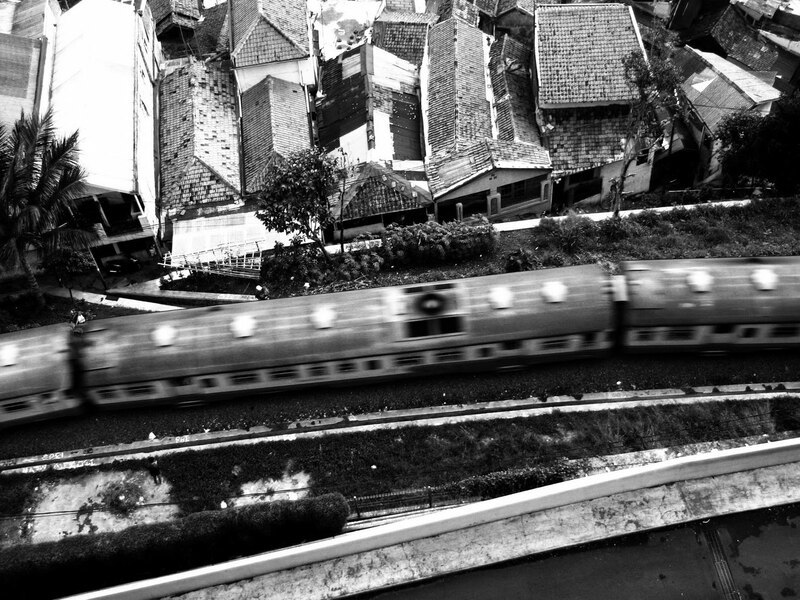 The train was captured from the 3rd floor. At that time, I and my husband were at a restaurant that has a wide balcony. Visit The Weekend in Black and White for more black and white photos. Have a nice week end! An interesting and different view. I like the rooftops. I like your perspective on this train shot.